✅ Trip Verified | Due to TAP's inability to cope with a fuel shortage in Portugal, my flight was delayed for an hour. I left the boarding area because they initiated the boarding procedures and then inadvertently stopped it leaving passengers looking at the ceiling and only informed by an almost codified internal sms announcing the delay. Almost didn't make it to the gate again as they suddenly re-opened the boarding process. Had to run through the crowded corridors to get there still on time to board. Needless confusion of an airline that still has much to learn. The problem is until they are funded by the Portuguese Republic and the EU, being one of the last still semi-public airline corporations in the world, they'll do whatever they like, the consequences being the paid taxes by Portugal citizens, unfairly making up for their annual losses. Lisbon airport getting older by the day and needing a revamp and expansion urgently. Improved cleaning wouldn't hurt either and it applies to TAP planes too. For the rest, nice and attentive cabin crew but repetitive and boring catering. "staff was not helpful at all"
✅ Trip Verified | Lisbon to Copenhagen. The staff was not helpful at all. Our flight was late for 1 hour due to heavy traffic, thus we were late for our next flight (we had connecting flights). We (there were 6 of us going to that next flight) asked the staff for help to let us leave the plane first or at least let us know which gate should we run to, however, the staff refused to help. 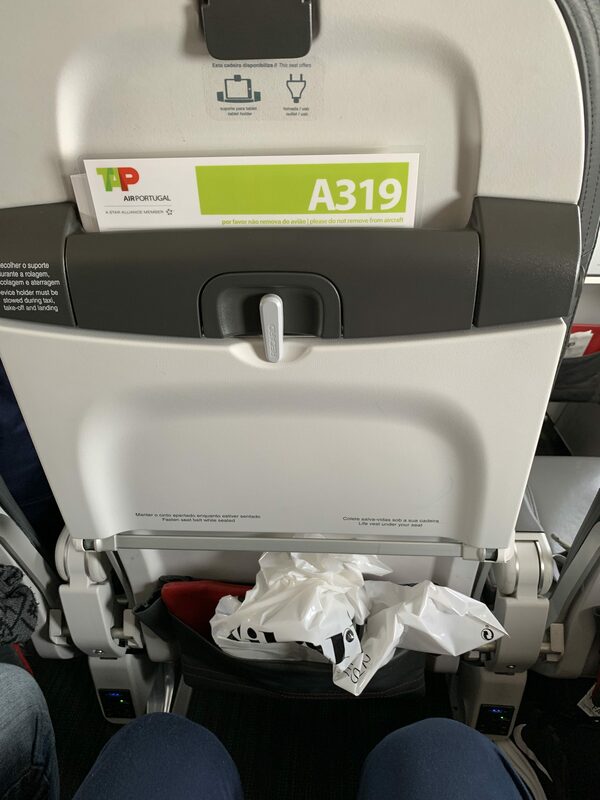 "on a very old A340-300"
✅ Trip Verified | Rio de Janeiro to Marseille via Lisbon. GIG-LIS Business Class on a very old A340-300, old lie-flat seats - despite the constant TAP advertisement about A330NEO aircraft on Brazilian routes. Still pure marketing as after a couple of months these brand new aircraft are now mostly directed to USA route! Non-event flight anyway, with improvement in punctuality, service, food and entertainment. A340 are silent aircraft and difference is clear when compared to A330/B777. Friendly and not packed lounge in LIS. Economy class from LIS to MRS. Also non-event flight. Note that for TAP, in this case (Business+Economy) the lowest baggage allowance applies for both segments. I.e. 23kg/PC and not 32/PC fro GIG to MRS. Even being a Star Alliance Gold pax. Weird. 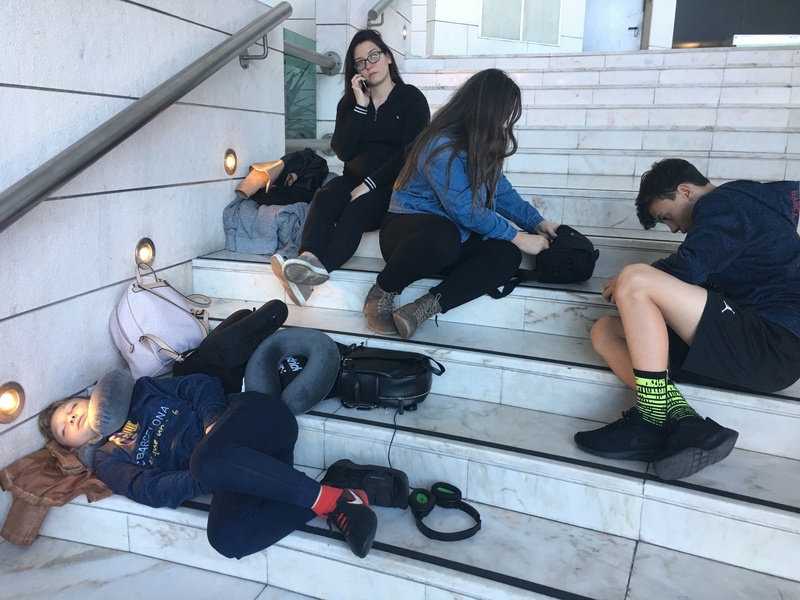 "vouchers were no longer valid"
Not Verified | In April 2018 we were supposed to go as a family of 5 to Lisbon. They said that my wife was too pregnant to fly and that we had to rebook within one year of the date of travel. I called back 2 days before the one year mark and they told me my vouchers were no longer valid - we were late by 3 days from the one year mark of cancellation. They gave us bad info on the front end and then took $3000 from me and would not let me speak to anyone beyond their first line of customer service. The customer service kept consulting with a Manager, but I could not speak to them. I was warned by friends and neighbors not to deal with this airline and now I wish I hadn't. Not Verified | Miami to Barcelona via Lisbon. 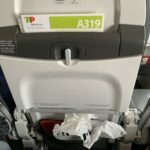 The worst airline I have ever been in and the worst assistance to people. Our plane from Miami was delayed so we got here late and when we were trying to get in to the plane they told us we couldn't because the plane had left. 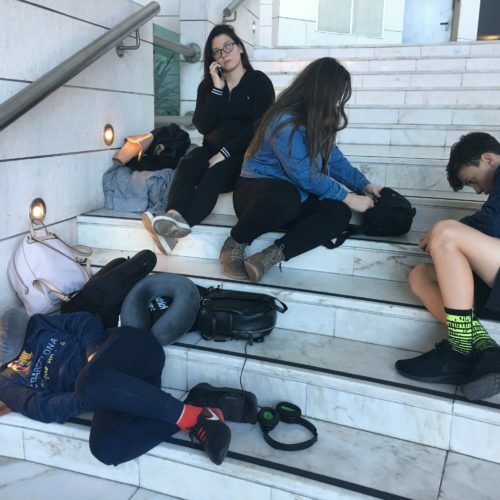 We had to wait over 12 hours in an airport the whole day. I was with my 4 kids for over 18 hours at the airport and they messaged me saying the flight was even more delayed. This is beyond disrespectful and embarrassing. ✅ Trip Verified | London to Gran Canaria via Lisbon. Excellent value and service on all flights. All on time, despite some confusion at Lisbon airport re boarding gate. Clean aeroplanes. Boarding straightforward. 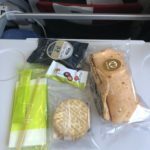 Pleasant and efficient cabin crew who served a small snack and hot drink. The seats are not the most comfortable but 2/3 hours perfectly manageable. Nothing to complain about re the journey. However their customer services dept is variable when you telephone (I needed to increase my luggage allowance which requires telephone contact for a multi booking). First person I spoke to poor communication and attitude, the second person total opposite, most helpful and dealt with the adjustment swiftly and effiently. Also some anomalies to iron out on their website but would definitely use them again. 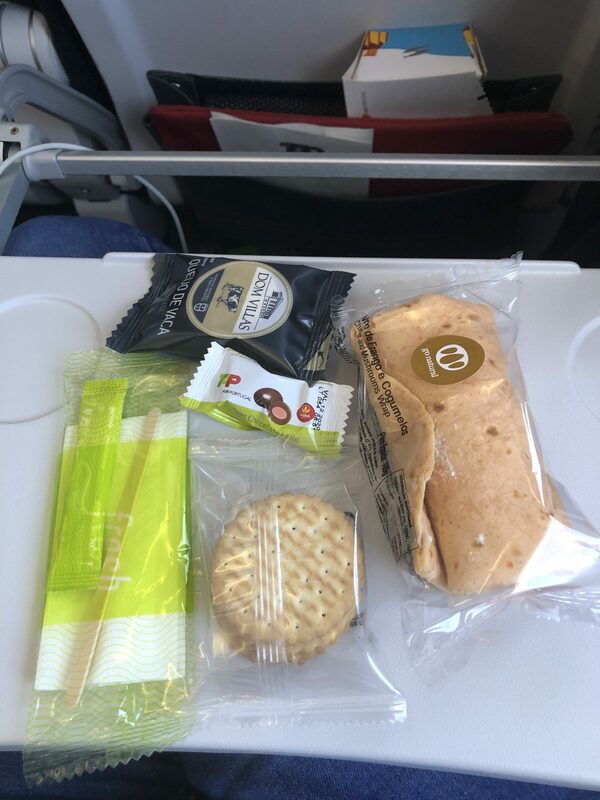 "Flight was ok, but cramped"
✅ Trip Verified | Dakar to London via Lisbon. Flight was ok, but cramped. Forgot my wallet in aircraft, but had no time to retrieve it due to short layover. I was told to stop at the London airport lost and found to initiate a report, but they could not help me. All further contacts with TAP Portugal or Lisbon airport were fruitless. They held my wallet hostage, basically telling me I had to pay 1400$ in order to fly back in the next 4 days or the wallet would be "destroyed", despite having all my mailing address available and more than enough money inside to cover the costs of shipping it home. Oh, and the lady beside me took 1/4 of my seat the whole flight. "Made me stay in Lisbon"
Not Verified | Hamburg to Salvador via Lisbon. Horrible service. They overbooked my long haul flight. Made me stay in Lisbon. Complaint office with huge queue... no wonder they made a loss of 120 million EUR in 2018. Not Verified | New York to Rome via Lisbon. Very poor customer service. Cancellation policy is a scam to take as much money from clients and in my case, amounted to more than the price of the tickets. I would not recommend this airline at all. Not even to my worse enemy.